When marbling, use Alum to pre-treat fabric for clear transfer of designs. 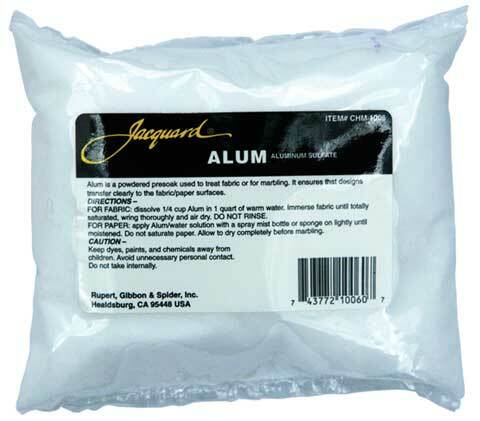 One cup of alum is dissolved in water along with four teaspoons of Calgon, to create a solution for submerging the fabric. Wring out the fabric without rinsing and allow to air dry before marbling.